Dimensions 6 by 9 by 0.60 in. Amazon.com description: Product Description: A must have reference for anyone who is serious about their music business. 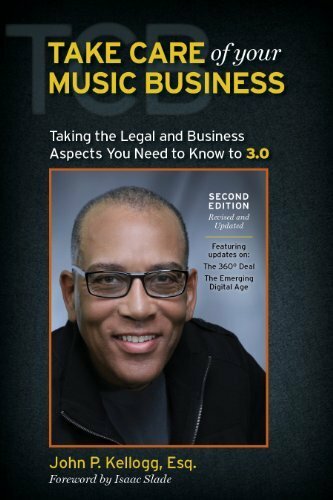 Take Care of Your Music Business, Second Edition is the much anticipated installation from the expert in the field of entertainment law. Featuring the 360 Degree Deal and the Emerging Digital Age with information for the recording artist, managers, producers, songwriters, record company executives, accountants and attorneys. Includes samples of the most-used industry contracts with easy-to-read split page analysis, fine points on options for business, royalty and accounting information and the author's 'keys to success' in the world of entertainment.